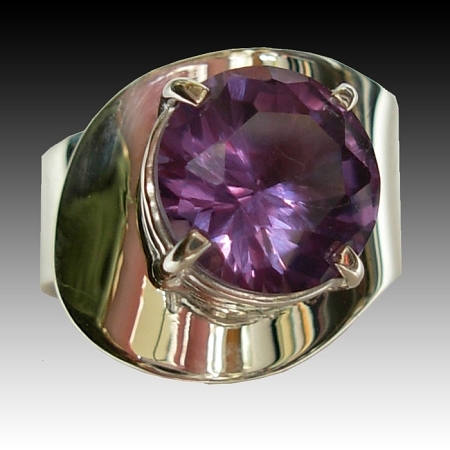 Sculptural Jewelry - This is a modernist high polished sterling silver ring featuring a beautiful round cut lab created purple Alexandrite gemstone (10mm). 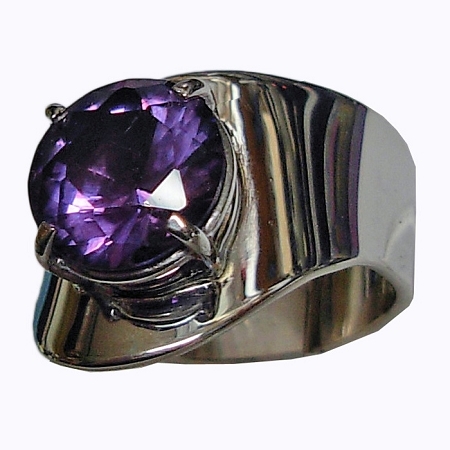 This quality handcrafted ring has a wide shank and is adjustable for easy sizing. 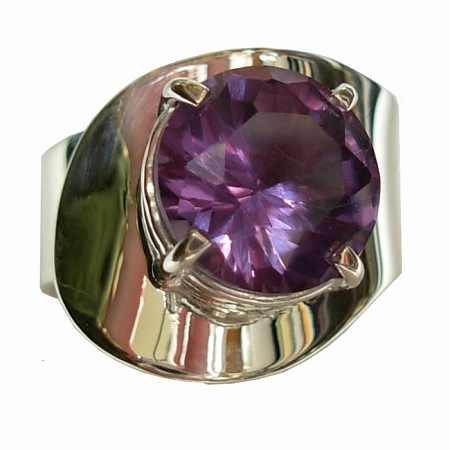 A beautiful 10mm round faceted high quality created Alexandrite mounted in a sterling silver basket setting. This shank is adjustable as it is not soldered. Any size is available, as well as if you would like a soldered shank. This ring has a wide shank, allow for an additional 1/2 size if specifying a size.